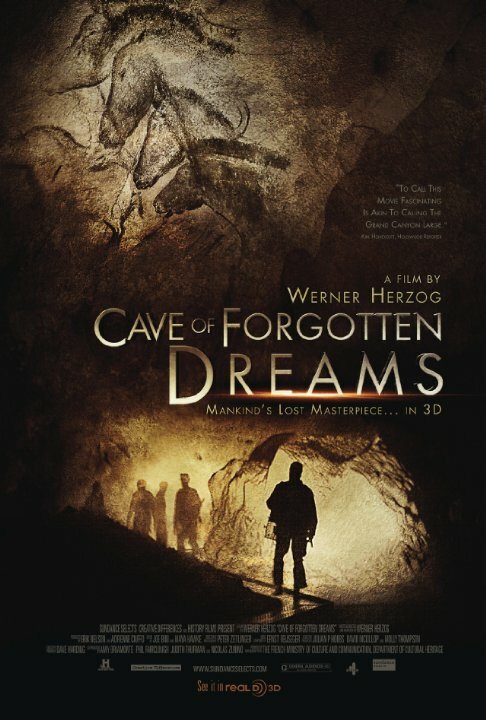 Cave of Forgotten Dreams is a documentary film about the exploration of the Chauvet Cave in southern France, which contains the oldest human painted images yet discovered. Some of the paintings were crafted as long as 32,000 years ago. We join Werner Herzog and Company on their pilgrimage to record the images from the inside of the cave. The film also includes interviews with filmmakers, scientists, and historians about the significance of this exploration. During this historic filming, the film crew was limited to short exposures and needed to done special clothing and respiratory gear to enter the cave. The actual cave is presently closed to preserve the artwork. The film includes footage of the nearby Pont d’Arc natural bridge. The film premiered at the 2010 Toronto Film Festival. The reception of the film was overwhelmingly positive. After viewing this historic documentary, we will discuss the images, including what they tell us about the waking and dreaming lives of these early humans. Barbara Burns, R.N., L.C.S.W. is a Registered Nurse, and received Masters in Social Work from Loyola University Chicago. In addition to being a Clinical Social Worker, Barbara is an instructor of Tai Chi. She is very interested in women’s spirituality and completed the certificate program at the Jung Institute in 1989. She resides in Evanston and is a member of the Board of Trustees at the Jung Center.